Find Your Ideal Weight Loss Goal And Make A Fresh Start Today! Wondering what your ideal weight loss goal is? Choosing a goal that works for you is often the hardest part! What is your ideal weight loss goal? does such a thing really exist? What is a healthy and realistic weight to shoot for and how long should you give yourself to achieve this? If weight-loss is a constant struggle for you... you can use goal setting to bring out those little qualities that'll help you in the key moments. What direction are we going in today? The best way in my personal opinion, and from my personal experience, to reach your ideal weight loss goal or ideal body fat % goal is to lose a little each week, each month. Honestly, the slower... the more gradual... the better! The easiest way and most lasting way is achieved with small and simple adjustments in your everyday habits. The clincher is the effort to sustain those small changes when your resistance comes. Sounds so simple but of course even making 1 or 2 small changes to what you do daily is very difficult in it's own way! Have we created some motivation today? Will we tomorrow? No need to spent hundreds of pounds on some super-duper diet. No need to sign up to expensive gym classes. Of course there is also nothing wrong with that and it may suit you but it can be just as easily done without spending a penny extra! If you can make the small daily changes and do this for 6 months in a row you'll see results. Find out the cold hard facts and write them down. What is your body fat %? What is your weight? What weight do you want to be? How far have you got to go? If you were to lose 4kg a month how long would it take? Make it all feel real. Set your goals. write them down. 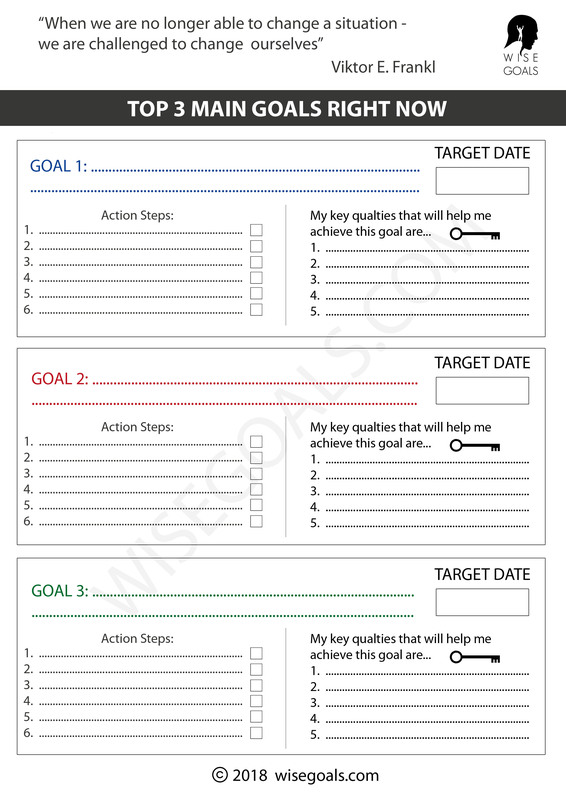 You can use one of the goal setting worksheets to assist you when you write it down. If you are fit and healthy and have plenty of free time you can set a large goal that puts the pressure on. Be flexible. Adjust to suit you. Try and select your goal with self-compassion. Find that combination of appropriate level of challenge and also self-respect and self-kindness. Keep Going. Sometimes in life you may face huge unexpected difficulties and you may be able to do very little towards your goals. You may need to focus your attention on other things for a while. As long as you keep going. Through everything. Adjusting. Getting back up time and time again. Even with multiple breaks. Even if you can't devote the time right now that you'd like to as long as you don't forget... You'll get there. To set high quality goals that work check out this, and for free resources to write down your goals click/tap here. So what can you do right this second to get started? 1. Simply write down something you want to do, or some result you want to see. 2. Write down when you want to do it or see it by. 3. Check that it can be measured so you know when you have completed it. 4. Stick it up somewhere you see it every day and can't miss it. 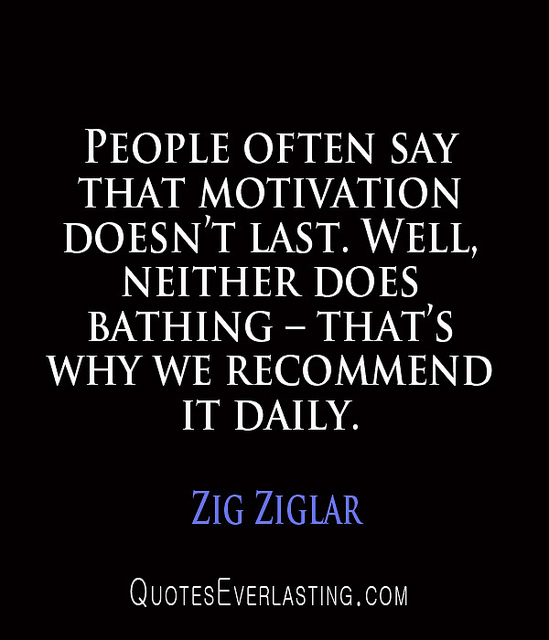 Zig Ziglar by BK. Attribution-ShareAlike 2.0 Generic. 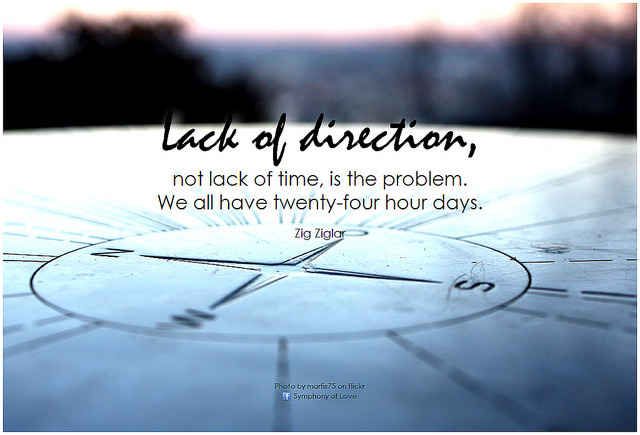 Zig Ziglar by QuotesEverlasting. Attribution 2.0 Generic.